In the last few posts of my dharma talks we have been looking at the Brahma-viharas, spacious mind-states where we can dwell in loving-kindness, compassion and happiness for others. Now we look at the fourth of these mind states: Equanimity. Equanimity is the ability to hold all that arises in an open embrace. It is the last of the four mind states because it naturally arises out of the continued practice of loving-kindness, compassion and happiness for others. We have all had moments of equanimity when, for no particular reason, we feel relaxed, joyful, and in sync with life. At such moments we don’t feel victim to the whims of circumstance. We handle things that come up with an ease that surprises us. We are able to see how ‘this too shall pass’ and that a comment we might otherwise have taken as a slight isn’t really about us. We find we can be present and enjoy all that is arising, without muckraking up past offenses and future fears. Thus we don’t make mountains out of molehills. It’s as if gravity has become lighter so what we had been carrying as a burden is now a transparent bubble, and sometimes even a gift. What if equanimity could be our natural state, even when things are not going well and we are faced with major losses and difficulties? It can be! Just by continuing our regular practice of meditation, we are cultivating equanimity. At first it comes upon us seemingly at random for brief periods. Maybe we get caught up in liking it so much that we begin to grasp at it, cling to it and strive for it. Then we lose it. Frustrating! But as we get the hang of being present with all that arises in our experience, as we practice sending metta (infinite loving-kindness to ourselves and out to all beings), equanimity becomes a more natural state. That may sound good, or maybe too good to be true, and there may be some resistance to the idea. We may believe that we are locked into our habitual ways of reacting to life, unskillful as they may be. We may even be attached to ‘our ways’, thinking that they define us, make us distinctively who we are. This is something to notice. We can hold these thoughts in a more spacious way, respectfully questioning their veracity: ‘Is this true?’ ‘How do I know this is true?’ The thoughts may hang in there, but they will hold less power to throw us out of kilter or sabotage our wise intentions. In the practice of mindfulness, we develop skillful ways to be in relationship with all that arises in our field of experience. We are not finding fault with our habitual reactivity or trying to ‘fix’ ourselves. Nothing is broken here. Nothing is lacking. Nothing has to be discarded or destroyed. We are simply learning how to exercise a muscle that has always been here, just under-used. In the process of regularly flexing our muscles of awareness and compassion, we have insights that expand our understanding and our capacity for equanimity. Recognizing the nature of impermanence. This is not just accepting that everything changes, but actually realizing that there would be no life at all without impermanence. Neither death nor birth, neither decay nor growth. We see how all of the patterns and processes of life are in a constant state of coming together and dissolving and reforming. Just the way clouds in the sky were quite recently mist rising from the sea and before that the sea itself and before that the rain and before that cloud. The cycle of life is revealed in every aspect of being when we pause to pay attention. Recognizing that, even though for practical purposes we live our lives as if we are separate beings, taking responsibility for this body-mind and all its interactions; in truth we are not separate at all! We are made up of the same stuff as the earth and stars. We are interconnected on the deepest level to all beings, in the past, present and future, in a continuous flux and flow. We are in this moment like a water drop leaping in the air over a cascade, experiencing a life that feels independent, but is in fact a fully integrated part of all being. And finally, recognizing that when we resist these first two understandings, we make ourselves (and often those around us) miserable. Out of fear of things changing, out of fear of being isolated, we engage in unskillful grasping/clinging to whatever gives us pleasure and pushing away anything that doesn’t please us, we suffer. This is not the simple pain of living life in a body. It is suffering that we actively create again and again through our own unwillingness to be present in our experience, just as it is. Studies show that meditation alone is powerful in many ways, but that the practice of metta, loving-kindness, is more powerful still. There’s no reason to choose one practice over the other. They work together. I always end my daily meditation, and the meditations I lead in class, with metta practice: May I be well/at ease/at peace/happy; May all beings be well/at ease/at peace/happy. Wording varies from practitioner to practitioner, but you get the idea. This audio is an example of sending metta. It is an extended practice, including sending metta to difficult people. Adapt the practice to suit yourself. If we get into the good habit of sending metta to any person or situation that crops up in our thoughts, especially the difficult ones that can entangle us in emotional upheaval, we bring our mind back to the present moment, and at the same time do a great kindness to ourselves and to whomever we send loving-kindness. Metta practice activates deep compassion within us. As we become aware of the nature of suffering and the interconnection of all beings, our natural generosity of spirit springs forth, providing help that is responsive, balanced and useful. As we cultivate loving-kindness and compassion, we feel other people’s happiness as if it is our own. We have breached the previously-perceived divide between us. That divide dissolves and we are able to fully experience sympathetic joy. We see that happiness is contagious, unlimited and available in every moment if we are open to it, even if we aren’t getting everything we crave. The skillful cultivation of loving-kindness, compassion and sympathetic joy creates equanimity in our lives. Instead of feeling tossed around by what’s going on in our lives, we become like the sky, spacious of mind and able to hold all that arises — clouds, fog, lightning, airplanes, etc. — without losing touch with our natural state of being. When something delightful and something sorrowful happen at the same time, equanimity allows us to hold it all in an open embrace. We can be present for the joyful event, even as slender threads of sorrow arise. As we age, we experience these kinds of situations more often. Loved ones become ill or die. Babies are born. Joys and sorrows abound. It is with equanimity that we are able to hold them just as the sky holds rainbows and hurricanes at the same time. The sky is still the sky. We too can cultivate compassionate spaciousness to hold all of our experience without getting lost or toppled. We are not devoid of emotion. But we can be present for them as well. Imagine the sky dealing what passes through in a typically human way. Try to picture the sky running away from clouds, striving to overcome fog, getting lost in the pursuit of rainbows, turning its back on lightning, throwing up its hands at hurricanes, falling apart in a tornado, turning to drugs to numb itself to days of rain. Ridiculous, right? We have the capacity to be like the sky! Whatever arises in our experience, we can hold in an open embrace. With attention, respect, compassion and kindness, but without clinging or grasping. If a thought is tenacious, we send metta to the person or situation, and return fully to the present moment. Teaching in class about equanimity, I felt my whole chest opening as I expanded my arms out in a welcoming embrace. Words felt insufficient to express the meaning of equanimity. Maybe this physical sense of expansiveness is an additional way of opening to the possibility of equanimity in your life. Try it! Equanimity is a spacious mind-state that naturally arises out of the regular practice of meditation. It is not a goal, not something to try hard to do, strive for or aim at. It’s not something to achieve. All of these ways of approaching any quality of mindfulness only entangle us in a tight knot of fear-based thoughts and emotions. If you want to experience equanimity, the path is simple: Practice meditation every day. Attend weekly classes for inspiration and support. Go on retreats when you can for deeper insights. Go for walks in the woods, on the beach or wherever you can connect with trees, water and sky. Then don’t get lost in conversation with others or your own thoughts. Instead just listen to the sounds of nature, look around you, and feel your body moving through space. Find your place in nature. Give yourself quiet times to be present with all that is arising, send metta to yourself and all beings and equanimity will rise up within you. Open to it like the sky! 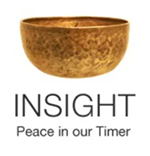 This entry was posted in benefits of meditation, Buddhism, equanimity, Four Brahmaviharas, upekkha and tagged Buddhism, coping, equanimity, finding balance, meditation on September 15, 2017 by Stephanie Noble. Thanks, Steffie. Your recognition of sharing space with Nature as a form of meditation has worked for me, though I chose that path early on in my life. When times got confused, uncomfortable or rough, I’d hop on a horse and head for the hills. Within Nature’s embrace, everything made sense. It remains so for me, in my garden. Thanks for commenting, Cindy. Maybe also in the hypnotic patterns of the water when you are on the boat? Just thinking of those beautiful photos/video you took of raindrops on the water surface.